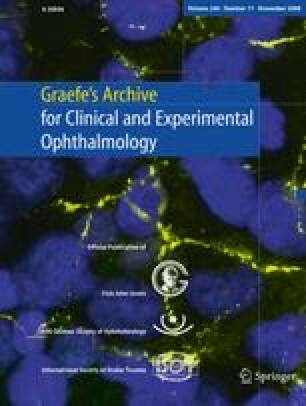 Anatomical success was achieved in 91% of cases (30 out of 33) with one retinal operation, and rose to 94% (31 out of 33) with additional surgery. Mean visual acuity improved from logMAR 1.19 (SD 0.9) to 0.5 (SD 0.51, p = 0.001). No significant ocular hypertension, clinically significant emulsification of the tamponade or inflammation developed during follow-up. The authors indicate no financial support or financial conflict of interest. Involved in conception, design of the study and data analysis were MRR, DW, TS, HH; involved in collection and management of the data were JM, IAP, CGR, GSK; involved in the provision of patients were IAP, CGR, GSK; involved in the preparation of the manuscript were MRR, TS, HH; and involved in the review and approval of the manuscript were DW, TS, HH.